Monday, April 8 at 12:30 pm, the President of the French Republic received all of the Vendée Globe skippers and handed on this occasion the Chevalier de la Legion d'Honneur insignia to François Gabart, winner of this year edition. “The ceremony was a great way to enhance the sporting and human values of exceptional men and women. The audacity and the dream they gave take every single French people in their wake”. 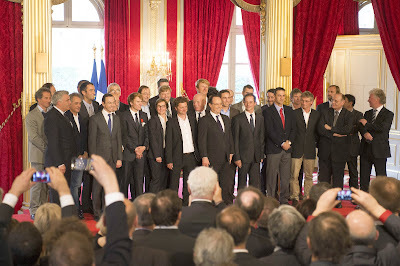 This recognition of the highest authorities of the State also shows the success and influence of the Vendée Globe. The Vendée Globe is at the top of the French sporting heritage and is one of the few events that make France pride internationally. It is an element of national pride that the Vendée is pleased to have been able to create. 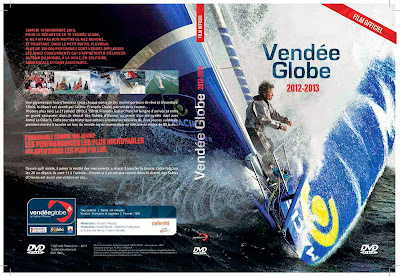 The official DVD of the Vendée Globe 7th edition is now available in the online shop. To relive the highlights of the 2012-2013 Vendée Globe, won by François Gabart (Macif) on January 27, only three little hours ahead Armel Le Cléac'h (Banque Populaire), get now the film race, available in the official online store at €14.99. Departure and arrival emotions, the magnificent duel between Gabart and Le Cléac'h at the head of fleet, the 78 days record, the pain of one, the abandonment of others, shots of stress, moments of joy... relive the highlights of this great race that combines the most incredible performances with the craziest adventures.